Nazri Aziz’s appalling comments in Semenyih are yet another stark reminder that we are a nation deeply divided by race and religion. And we grow further and further apart with each passing day thanks to the efforts of people like Nazri who are constantly stirring the pot of bigotry’s bitter brew. Unfortunately for us, national unity suffers from a lack of credible champions – great leaders who truly believe in the motto etched on our coat of arms that unity is strength (Bersekutu Bertambah Mutu), that it is worth fighting for. Where are the Onn Jaafars willing to stand up for national unity and do battle for it? Has the Ketuanan Melayu ideology so infected the Malay ruling elite than none are willing to fight for national unity? And where, too, is the counter-narrative to the Ketuanan Melayu ideology? How is it that despite all the angst about the lack of unity, despite all the great speeches about its importance, we have not been able to structure a compelling political, ideological and religious response to the extreme ethno-religious nationalism of UMNO and PAS? Of course, we have a minister in charge of national unity but does anyone really believe that Waytha Moorthy is going to actually be able to do anything significant to bridge the racial and religious divide? Let’s face it, he is in Cabinet simply as a sop to the Indian community, nothing more; and nothing much is expected of him. Given that national unity is one of our biggest national challenges, one which impinges on almost everything else, shouldn’t the national unity portfolio be taken by no less than the prime minister himself, or, at the very least, one of the more senior Pakatan Harapan (PH) ministers? 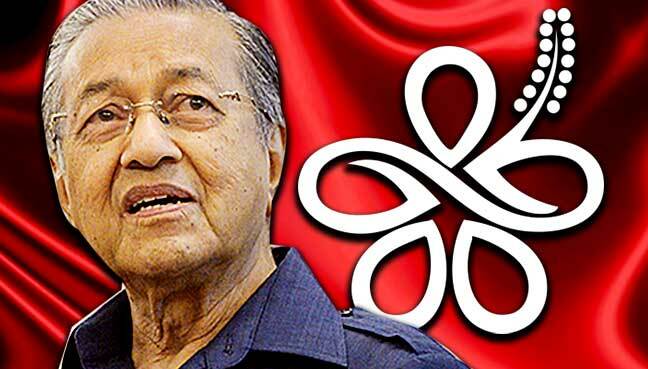 Dr. Mahathir wants to be remembered as Father of Malay UMNO Unity. Dr. Mahathir Mohamad once excited our imagination with his Bangsa Malaysia vision ( 1986) but since coming to office he has done little to advance it. Sadly, it just doesn’t seem to be a priority with him or anyone else for that matter. National unity is the orphan child that nobody wants to claim. Like it or not, this is not an issue that is going to get better on its own or autocorrect itself; it’s only going to get worse. Indeed, the continued mass indoctrination of students (at all levels of the education system), government servants, police and armed forces personnel with the Ketuanan Melayu ideology makes this inevitable. Add to that the vast, self-perpetuating, well-funded and well-motivated religious bureaucracy intent on pushing the same ideology under the cloak of religion and it quickly becomes evident that we are already well on the way to becoming an ethno-religious welfare state, the ultimate Ketuanan Melayu dream. It is, admittedly, difficult to determine how pervasive the Ketuanan Melayu culture is or what the silent majority (if there’s really one) actually thinks about it, but to the extent that they allow the racists and the bigots to usurp their voice without protest, it is perhaps a moot question. Malaysia’s minorities have particular reason to be concerned. The Ketuanan Melayu ideology is premised upon the notion that the Malays as a community face an existential threat – from non-Malays – and must unite to defend “bangsa, agama dan negara” or lose it. In order to be effective, the threat narrative must be constantly reinforced with new and even bigger revelations of plots and schemes against the Malays and Islam. Suspicion and mistrust must continuously be fuelled at every turn. Every incident must be exploited to reinforce the threat perception. And the lies, half-truths and innuendos must be repeated often enough so that people will believe it. It’s what the Nazis did; it worked for them. Expect, therefore, as the political contest between UMNO-PAS and PH heats up, yet more outlandish accusations, rumours and insinuations. After the Cameron Highlands and Semenyih by-elections, will PH’s Malay leadership work harder to develop a compelling alternative narrative to counter the racist arguments of UMNO-PAS or will they be tempted to take the easy way out and play the race card themselves? Will they go all out to convince the Malays that the reform agenda benefits them more than any other community or will they abandon it for the sake of political expediency? Whatever it is, Malaysia is quickly reaching an important tipping point: if no credible Malay leader arises to champion national unity and unite our nation around a common national ideology to counter the Ketuanan Melayu narrative, we may well reach a point of no return, a point where the racial and religious divide becomes irrevocable and irreversible. It will be the end of the great experiment in democratic multiculturalism upon which our nation was premised. Posted in civil society issues, Dr Mahathir, FreeMalaysiaToday, ketuanan melayu, Malaysia, National Unity, Nationalism, Parti Pribumi Bersatu Malaysia, Politics, Red Shirt Racists, Tun Dr. Mahathir Mohamad, UMNO. In this article I present my views on the different responses and approaches of two Malay and Muslim educated leaders to raise questions about nation building. The two personalities are Prime Minister Dr Mahathir. Mohamad and the “respected” mufti, scholar and academic Dr. Mohd Asri Zainul Abidin. The scenario in question is the recent Seafield Sri Maha Mariamman temple incident. 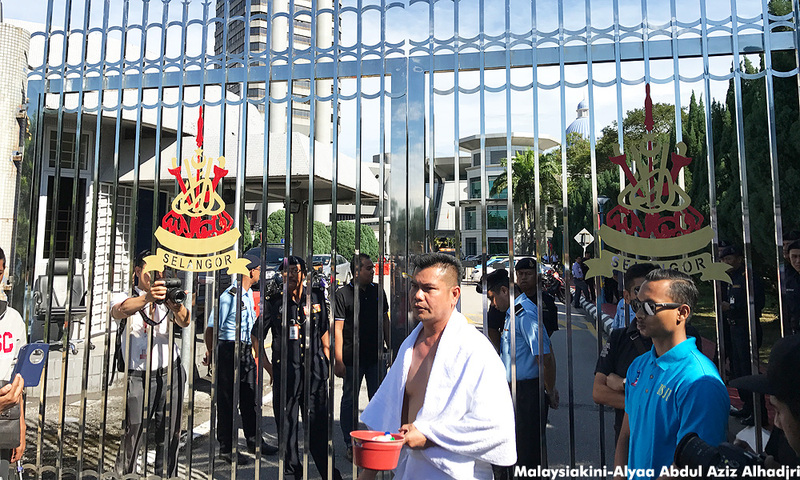 I do not view the temple incident as a racial one even though the police have established that the clash was between 50 Malay “hired thugs” and the devotees of the temple. From the excellent police report and Home Minister Muhyiddin Yassin’s statement, we can gather that these Malays were hired to solve the problem of vacating the land in order for commercial development to take place. The company to which the land belongs has since denied it was involved in hiring thugs. I have heard whispers of this kind of thuggery being undertaken to resolve the problem of vacating people from state and private land. I have also heard whispers that police often turn a blind eye to such actions. I hope these whispers are not true but the glaring events at the Seafield temple have confirmed my personal fears that there may be truth to many of them. Whatever the real and intended purpose of the Malay “thugs”, I am convinced it was not a racial conflict but a simple “Melayu-thugs-for-hire” one. But politicians, clerics and opportunists have grabbed on to this incident to colour it as a racial conflict. When I read that 70 Malays turned up later that day, I feared the worst but thankfully, our police force was at its best. When Asri came out with a forceful statement about taking a harsh approach in dealing with “illegal temples”, I feared it would only aggravate the situation, especially with sentiments over the ICERD still strong. Although Mahathir has reversed the government’s earlier decision to ratify the UN treaty, many, including the “respected” cleric, seem to be egging on a demonstration that I fear could pull this country apart. 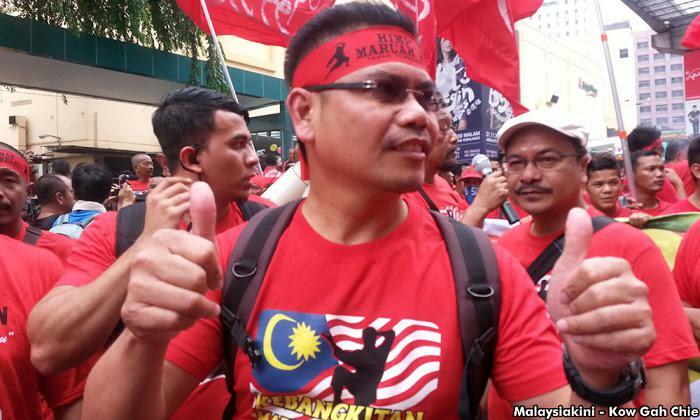 We know the damage that was done by the previous Jamal Yunos-led Red Shirts rally. Here I wish to draw attention to the approach of Mahathir on the temple issue: he showed exemplary leadership in putting Malaysian, “Malaysianness” and nation building above the idea of “Malayness”, “Islamicness” and “Tanah Melayu-ness” of those in PAS and Umno, and now – sadly – Asri. One excellent character trait of Mahathir that I admire is that he can stand firm, no matter what the ulama, royalty and politicians throw at him. From his writings, speeches I have heard and media statements, Mahathir does not come out as a simplistic “my race above all” thinker like Zahid Hamidi and Ibrahim Ali, nor does he comes off as an “Islam above all” thinker like Hadi Awang or Asri. He has his own personal views of Islam which I have read, his own idea about Malaysia’s history as well as his own personal formula on how Malays should change. He even admitted his failure to change the Malays, giving as proof the vast corruption by Malay elites, including in UMNO and the civil service. He dumped UMNOo… twice! 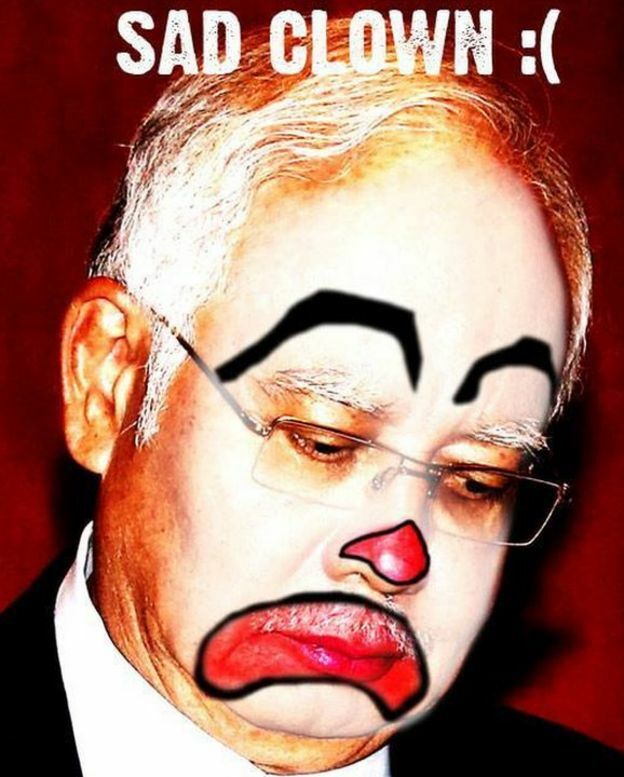 Yes, UMNO dumped him once, but he did it twice. 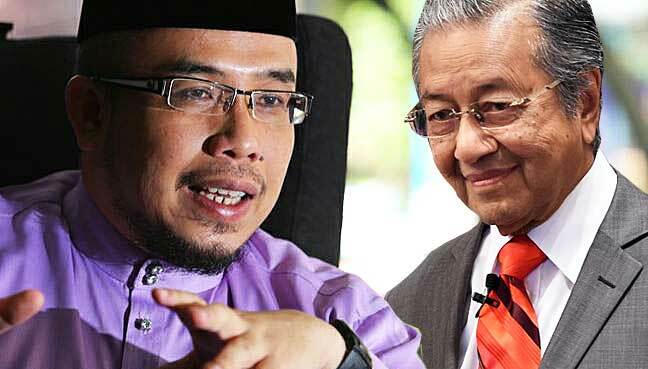 He is even said to be engineering UMNO’s elimination and a reboot of his own version of “Malay-Malaysianess” in PPBM. Personally, I think it will never work as he is too old and may not have time to train Malays in the new “Malay-Malaysian ideology” so that they become progressive and critical-minded Muslims with a Japanese work culture. That model of “Malay-Malaysianess” never took off even when he was the leader of UMNO. But what I admire most about the way Mahathir handled the Seafield issue is that he was decisive and humanitarian and he did it with a Malaysian finesse. The government has ordered the status quo to be maintained and for the rule of law to take effect. The matter has been taken to the courts again by some devotees, and a few millionaires have started a campaign to raise funds to buy the land from the owner. I suspect Mahathir may have had a hand in the idea of buying the land. Mahathir may have lost his credibility as a Malay, a Muslim and a leader among kampung-educated Malays, bandar-educated Malays and university-educated Malays. But he has won my respect and that of the non-Malays and the very, very few thinking Malays. He has lost the Malay political mileage that is badly needed to restabilise Malaysia as well as prop him up as the PPBM and Pakatan Harapan leader. I think it is a costly price that he has paid personally, but Mahathir is no stranger to such sacrifices. What matters to him is a clear and unadulterated vision of where Malaysia should be heading, a vision very few Malays understand and are willing to follow, both in the opposition and in the government. Mahathir has put his political career on the line for the sake of a peaceful Malaysia. The same can be said about the ICERD issue. Many have criticised him for “backtracking” from his tough talk at the UN but I think it takes guts and a visionary leader to go against one’s “reputable standing” and make decisions within a dynamically changing socio-political scenario. Other politicians would have taken more time to weigh the political cost and delay their decision, but Mahathir was quick, decisive and clear over both the ICERD and Seafield issues. In contrast, let us look at how Asri responded to the temple issue. A day after the reported clash, I was shocked to read his harsh statements encouraging the authorities to come down hard on the Indians with regard to the many “kuil haram” on land not belonging to that community. Although many Muslims I know will side with him in this very popular statement, I think it is selfish and immature with respect to the idea of nation building. Although I have admired Asri for his academic and religious views framed in an intellectual stand on many issues, his statements suggest his stand on Indians is far from friendly. The first clue to this attitude was given in his Facebook posting about Hindus attacking Muslims in India as well as the burning of widows. He made those statements in defending controversial preacher Zakir Naik, who is wanted in India. I have also heard his veiled attempts at making Hinduism look bad by associating it with the abhorrent caste system. I will answer his criticism of the Hindu religion by giving three points. Firstly, it is most difficult to discern the principles of a religion from the cultural practices of the adherents. Until I read 20,000 hadiths, I never knew that Malays were practising “Melayu-Islam” and not the Prophet’s Islam. When Asri criticised harshly many of the attitudes and practices of the Malays using hard textual evidence, many Malays despised him but I agreed 100% with what he said concerning this matter. I have read the hadiths and so I know. Most Malays do not read and they depend on clerics like Azhar Idrus or Zamihan Mat Zin to fill them in on what Islam is. I am 200% behind Asri in his “war” against the Malays and their ethno-centric interpretation of Islam. Having said that, I have to ask: does Asri know enough about Hinduism to separate the cultural practices or attitudes from the philosophical teachings of that religion? I have read several books on Hinduism, including the Bhagavad Gita and the meditative techniques stemming from that faith, and I find them filled with the wisdom of the ages. Hindus dissected the self, the ego and the mind long before Prophet Muhammad was born. Much of the concept of “self” by Muslim scholars such as al-Ghazali and Rumi echo the same teachings – not because they have been “influenced” but because of the generality and universality of the messages. Most Muslims have a narrow window, framed in the 1,400-year scholarship of Islam, and refuse to take a walk outside of that box into the world of human civilisation and strive to understand who they are and how best to behave or act in a community of communities. Secondly, with respect to the caste system, most societies, even the Malays, practise them. Abdullah Munshi detested the difference in punishments meted out to peasants, guards of the Rajas, the bangsawan or aristocrats and the Rajas, saying they were un-Islamic. To him all men were equal under Allah. I have many Hindu friends and I have never heard of widow burning or the imposition of the caste system; neither have I heard them threaten people of other faiths. Thirdly, if Asri considers all Hindus as terrorists for atrocities committed against Muslims by some, then what of the Islamic State fanatics bombing here and bombing there, using lorries and other vehicles to knock down and kill non-Muslim civilians? Certainly Asri would point out that Islam the religion is free from such heinous acts and that those who do these things do not reflect Islam which offers a message of peace. If that is so, why can’t Asri see the “terrorist Hindus” as a party totally different from Malaysian Hindus such as P Ramasamy and P Waytha Moorthy who are fighting peacefully in the political arena for the betterment of their own race? Clearly Asri has not acted with wisdom or out of consideration for the peace and safety of the many Malaysians in making such statements. He thought only about his own race and faith. Thus, in conclusion, we can see two sons of Malaysia, two sons of the Melayu culture and two sons of Islam having two divergent approaches and attitudes towards the idea of building a peaceful nation. One of them cares about all life in Malaysia while the other seems to care only about those of his race and religion. One has a long view of Malaysia’s future in the global community while the other has views limited to what is important to his own faith. Malays have to decide who they should follow. Posted in Character and Integrity, Civil Rights, Civil Society, Democracy, FreeMalaysiaToday, Goverance, Human Rights, ketuanan melayu, Malaysia, National Unity, Nationalism, New Economic Policy, Politics, Public Accountability, Race Relations, Racism, Red Shirt Racists, Religion and Humanity, Rule of Law, The Consitution, The Malaysian Constitution, Tun Dr Mahathir Mohamad. 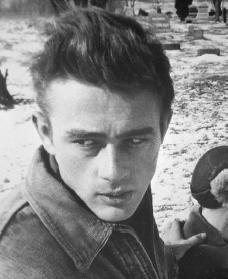 To call Jamal Ikan Bakar Yunos a James Dean is to insult and debase the memory of James Byron Dean, my teenage idol of the 1950s. I refer to Dr. Azly Rahman’s commendable and no-nonsense expose ‘On the Malays’ (dinmerican.wordpress.com, June 29, 2018). Well-written, but I expect nothing less from a fellow-Columbian (Columbia University graduate). Thinkers like Dr. Azly should continue in the struggle against racial chauvinism, corruption and bigotry that has become rampant in Malaysia. It is in this spirit that I feel compelled to highlight a few key points brought up by Dr. Azly. To me, these are crucial to the reform of the Malays. Without a movement to address these points from all quarters of Malaysian society, ‘the new Malay’…’the multi-cultural Malay’…’loving emphatically with Malaysians of other races’….will be relegated to the cobwebs of rhetoric, just a bunch of useless words and sentences to fill up blogs, newspapers, academic journals and textbooks. 1. The red-shirt movement…Azly asks why they are harassing those who want to see a better Malaysia? A cleaner society and one that is not only for the Malays or for the Muslims but a Malaysia for all Malaysians? Yes, a simple concept of good citizenship. Adding on to this, the 48 year old Jamal Yunos does not represent the majority of Malays. Many are embarrassed and appalled at his hooliganism. Having said that, though, there is an insidious feeling of ‘us and them’ flowing through the veins of this majority with respect to other races and religions in Malaysia. I see this as a deeper crisis that needs immediate attention. Examples from daily life in urban Malaysia betray this separateness. How often does one see Malays dropping into the homes of Indians and Chinese, eating food cooked by them, on their plates, with their forks and spoons, drinking from their glasses? Malays may drop by, and may definitely accept Indians and Chinese as their friends, but the extant of this acceptance is only skin-deep. Malays will not go the extra mile because it is against Islam….or so they erroneously interpret. For Chinese New Year and Deepavali, of course Malays visit Chinese and Indian friends, families, households….all in the name of friendship, comraderie, good citizenship, muhibbah, acceptance. Murruku is deemed unfit for Muslim consumption among many Malays I’ve encountered….comments made by my fellow-academic colleagues!! Yet they talk about inclusivity, pluralism, open-mindedness and racial harmony. No matter how subtly a Malay refuses a lunch invitation to a Chinese friend’s home (by giving various excuses of being busy with work or other kenduris), that Chinese friend knows the fundamental reason. Malays and Muslims cannot and will not compromise on their Islamic beliefs of keeping halal. Herein lies the problem, and a detailed analysis can be the topic of another post. It is sufficient to say though that the interpretation of Islam among Malays is completely devoid of history and theological philosophy. One can argue that Chinese and Indians have long accepted this, are not offended and can ‘live with it’ for the sake of harmony. Malays too continue to be polite in refusing. But we ALL know and feel the ‘us and them’. In a true ‘better Malaysia’ why should the minority races have to ‘live with it’ or just ‘accept’ it? We should create a Bangsa Malaysia, a new Malaysia which is truly inclusive. Jamal Yunos is truly a James Dean (rebel without a cause). But the Malays in general must revisit their concept of ‘jihad of peace’. Which brings me to my next point. 2. On the need to defend/protect the Malays. Psychologically and philosophically, for decades this has damaged and not improved the lot of the Malays. Deep inside the Malay psyche there is a feeling of inferiority. Economically they may have progressed but there will always be the ‘us versus them’ complex. It is glaringly obvious in daily life activities, in sports interaction, coffee-shop banter, classroom interaction and at university lectures. 3. My last point…sedition charges brought against Finance Minister Lim Guan Eng (using Mandarin in an official document) following a protest launched by Dewan Bahasa dan Pustaka outside Masjid Putra (June 29, 2018). Without going into the tiresome but dishonest accusations that the minister violated the constitution (which he did not), let’s ask ourselves, honestly….why are the majority of protests coming from the Malays? Show me a sizeable protest by a group of Chinese or Indians (and other non-Malays) on this? One may argue that the press/media do not highlight news from other quarters. Granted. But honestly ask yourselves…in your daily lives, within the last week, have you been inundated with statements AGAINST what Lim Guan Eng did from your non-Malay brethren? In a truly ‘new Malaysia’ this would be happening, because criticism would be based on facts and the intrinsic desire to unite all Malaysians. The concept of jihad is not the monopoly of Muslims. All Malaysians have to, as Dr. Azly succinctly writes, ‘inculcate the love of reading, of wisdom, of humility, of perspective-taking, of appreciating and learning from the arts, social sciences and philosophy. COMMENT | I think political parties wishing to understand the Malays need to know the following, through an essay I wrote a while ago, I hope relevant now. This is what the then ruling class wanted to use as ‘Hitlerian Youth’. This image must be forever destroyed. For way too long the image of the Malay as wise, learned, philosophical, tassauwuf/Sufistic being, the communicatively competent, the old school pre-Merdeka Johor type, the prudent, the proverb-loving, the artistic, the high-cultured, of high intellect and Jawi-literate Malay, the deeply perceptive and reflective, the viewer of materialism both as “rezeki/god’s bounty” to be careful with and to not let it be a corrupter of the soul, the raja haji-type of Malay (warrior who fought against the Dutch with bravery and with philosophy has been ignored. Where are you now, these Malays? 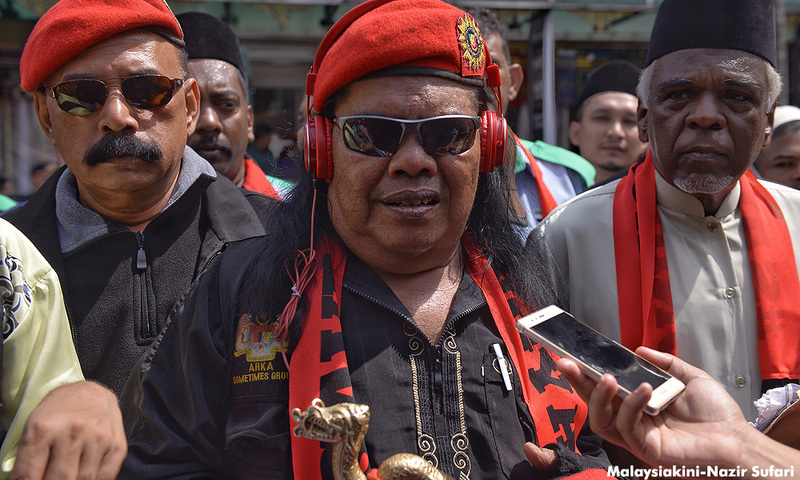 Aren’t we sick of the red-shirts’ antics and their representation of the Malays? A representation that has also been used successfully by the non-Malays through the power of discourse of a newer Malay fascism hegemonising national perceptions? Then there is the display of silat to ineffectively and hilariously scare people off. Malays don’t need this representation as well. It was useful as a way for good, morally upright warriors of the 15th century to kill their sultans, such as in the famous story of the death of the power-drunk sultan, Mahmud of Kota Tinggi, Johor. He was killed by his own Laksamana Megat Seri Rama while he was being carried by his serfs on his mobile throne, the ‘julang’, hence the story Mahmud Mangkat di Julang. That evil-fool called a sultan killed the laksamana’s wife Dang Anum simply because she ate a piece of jackfruit (sebiji buah nangka) from the Raja’s orchard – because she was craving for it. She was pregnant. The raja ordered her stomach to be cut open to retrieve the jackfruit. That was the story of the Malay sultan worshipped by his people. Laksamana Megat Seri Rama, skilled in silat, had to put the fool to death. Good for the sultan. That’s what a good silat man or woman ought to do – get rid of tyrants while they are on their throne. But strangeness we are seeing in the use of the Malay art of self-defence. Lost is the meaning of silat as I understood it – ‘silatur-rahim’ or to make peaceful connections with other human beings – with Chinese, Indians, Hindus, Christians, Buddhists, Martians, Jupiterians, robots and androids – or even Trump-supporters. Silatur-rahim, that is what it means. Some Malays don’t even understand the simple meaning of a Malay word. If only each family inculcates the love of reading, of wisdom, of humility, of perspective-taking, of respecting others, of appreciating and learning from the arts, sciences, world music and of becoming a good global citizen, we will not need to do this in public – beat each other up with planks while doing the breakdance. Read…read…read… in the name of thy Lord who created thee…that foundational verse: “Iqra bismi rab bikal lazee khalaq”. I’d say, stay home, take off your coloured shirt, wear your singlet and your sarong/kain pelikat if you are still feeling hot and angry, help mum bake cookies and read and read, read and be more intelligent in understanding what is ailing our society. What a waste of time some of these Malays are doing harassing people on the streets, storming buildings, running after cars, yelling incomprehensibles – all in the name of truth? How much money was being given to the cause of the rebellion without a real cause? This is the puzzling aspect of the red-shirt movement – why are they harassing those who want to see a better Malaysia? A cleaner society and one that is not only for the Malays or for the Muslims but a Malaysia for all Malaysians. Is that not a simple concept of good citizenship to comprehend and to fight for? 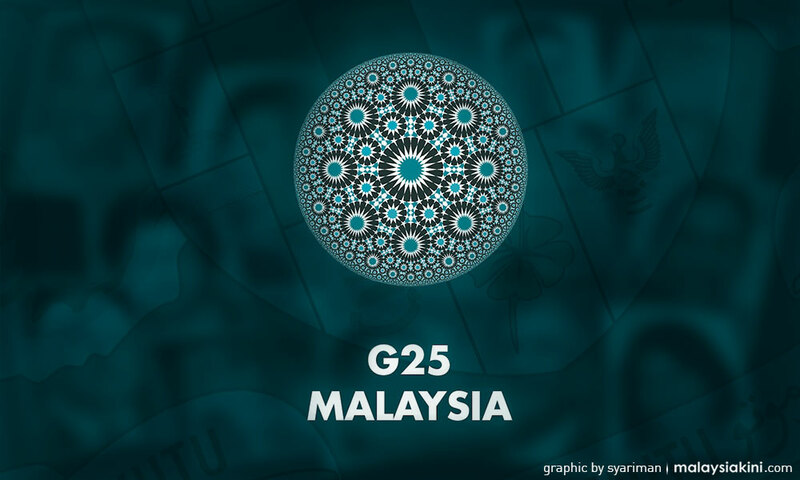 The way those troubles were created seem troubling and ‘out of place’ in a Malaysia – a globalised Malaysia of the 21st century. It seemed like a very awkward, rude, uncouth, uncultured way of exercising free speech. It seemed like a well-paid job done without rhyme or reason or sincerity. But the worst part was that it was claimed to be one of “defending the rights of the Malays” when the Malays, in general, did not wish to be defended as such. It is a shameful way. What ought to be done is to stop these grotesque ways of behaving and start the work of helping the Mat and Minah Rempits, the single mothers, the youth who are about to go into the dungeons of drug addiction, and the Malays who think that Tanah Melayu is theirs alone and others are “intruders in history” and ought to be sent back to where they came from. 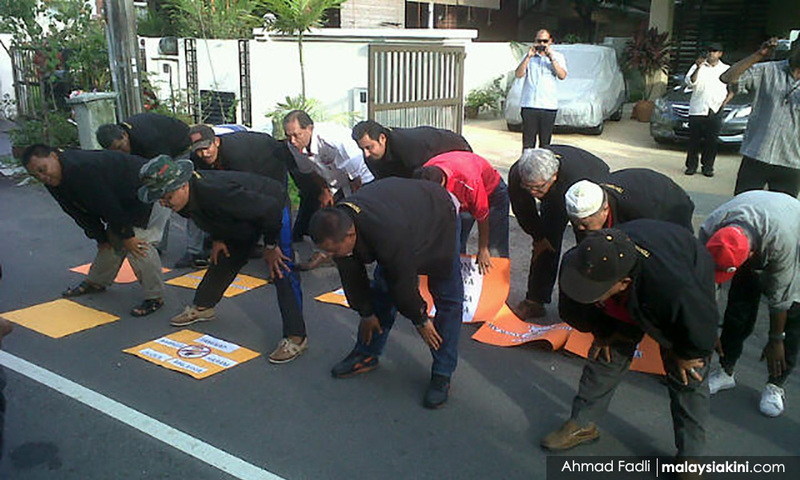 These are the Malays that need to be helped and their dignity restored. That would be a nobler job for the red-shirt gang or any gang wearing whatever shirt yelling for Malay rights. That is the “jihad” of peace the Malays, in general, would agree to be associated with. 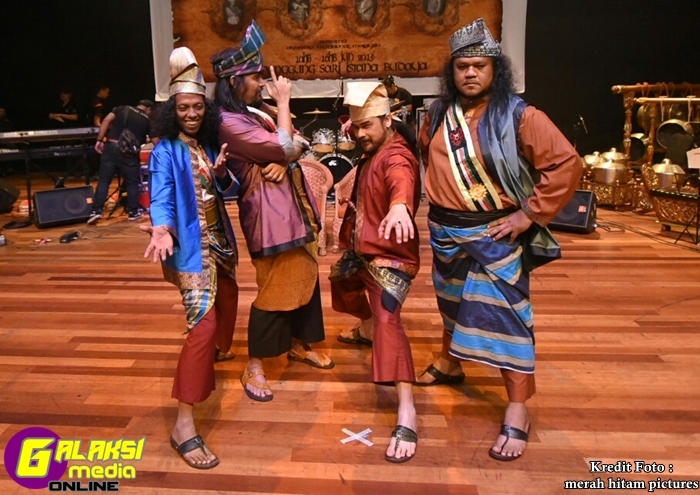 Not the run-amok, latah, and drunken Jebat and foolish Tuah Malays we no longer wish to see. Let us help destroy this image of the Malays. We are not fools. We have never been. The new Malay will not need to be defended. They need philosophical, scientific, and republicanist thinking. They need to be existentialists, rather than follow some theocratic nut trying to establish a kingdom of “ketuanan Melayu“. The new Malay is a multicultural Malay living emphatically with Malaysians of other races. That’s what a Malay ought to become. Until it was destroyed by a dominant Malay party. Dr. AZLY RAHMAN is an educator, academic, international columnist, and author of seven books. 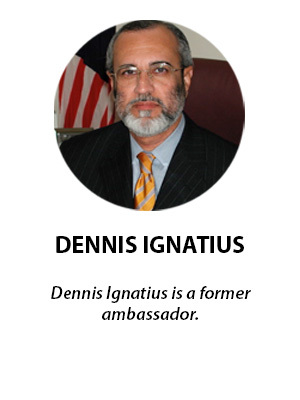 He grew up in Johor Baru, and holds a Columbia University doctorate in international education development and Master’s degrees in five areas: education, international affairs, peace studies communication, and creative writing. Posted in Character and Integrity, Intellectual Development, Leadership, Malaysia, Malaysiakini, Meritocracy and Competence, Red Shirt Racists, The Malays, Tun Dr. Mahathir Mohamad, UMNO. 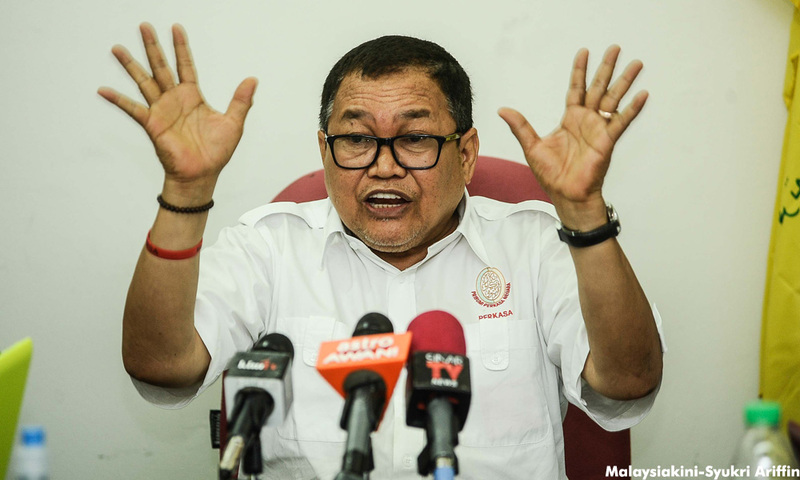 Tengku Adnan, the (caretaker) Minister for Federal Territories and UMNO Secretary-General followed a well-worn pattern of fearmongering when he warned recently of the threat posed by Christian evangelists. In the first place, his remarks reveal an appalling ignorance about the Christian faith. He does not appear to even understand some of the Christian terms that he uses and yet he is ready to condemn Christians. And he insults all Christians by trying to divide the Christian community into good Christians and bad Christians on the basis of their denominational affiliation. If that is what he believes, he should explain what he thinks of the evangelical Christians who until the dissolution of parliament sat with him in cabinet and are part of BN. Are they, too, considered a threat to national security or are they good Christians by virtue of their support for UMNO? The penchant of UMNO leaders to divert attention from pressing national issues by constantly playing up one imaginary threat or another – the Chinese, the Christians, the Jews, etc. – is tiresome and speaks more about their political bankruptcy than anything else. It is, as well, simply mindboggling that a senior UMNO minister would be even obtuse enough to suggest that a small minority faith community [there are less Christians than UMNO members, for goodness sake] could depose the monarchy, overthrow the government, impose their faith on Muslims and abolish Malay rights. And this in a country that is staunchly Islamic, where Malay-Muslims vastly outnumber other ethnic and religious groups and have a near total monopoly of political, economic and military power. If Tengku Adnan genuinely believes that our national institutions are still so weak and vulnerable after more than 60 years of UMNO rule, it would be a stunning admission that UMNO has completely failed the Malays, and indeed all Malaysians, and should be promptly removed from office come May 9th. Of course, everyone understands that UMNO and the DAP are sworn political enemies and disagree on almost every issue. 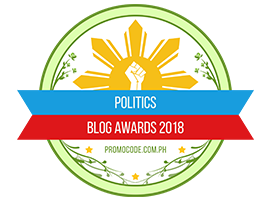 In a democracy, however, politicians discuss and debate their differences in a sensible and civilized way in order to give the voting public a better understanding of their respective positions. What they don’t do is belittle their opponents’ religious beliefs or indulge in blatant racism and bigotry. As a politician, Tengku Adnan should have the courage, if not the decency, to meet his political opponents head-on in a debate and challenge them on issues of importance rather than hide behind the walls of bigotry and hate and make snide remarks about their faith. And in case he hasn’t noticed, non-Muslim politicians have, in general, been careful not to inject their faith into politics. You don’t hear non-Muslim politicians quoting their respective religious text, framing issues in a religious context or demonizing other faiths when discussing political issues. It is not because they are less fervent in their faith but because they understand that in a multi-faith setting it is best to leave religion out of politics. After all, they are not in politics to promote their faith or to burnish their religious credentials but to promote policies, programmes and ideas that would help build a united, stable and prosperous nation for all Malaysians irrespective of race or religion. Tengku Adnan should also know that the Christian agenda, if there is indeed one, is the same agenda that all Malaysians share – a peaceful, united and prosperous nation. In fact, it was what UMNO itself used to care about before it allowed itself to be seduced by power and privilege. Rather than focusing on imaginary threats and sowing division and discord, therefore, Tengku Adnan might better serve voters by focusing on the issues that matter to all Malaysians – respect for the Constitution, good governance, corruption, national unity, the rising national debt, and the high cost of living. All the other issues – the position of Islam, the monarchical system, the special rights of Malay-Muslims as enshrined in the Constitution – are, in reality, non-issues because they are accepted and respected by all Malaysians including Christians. Only politically bankrupt leaders keep harping on these things because they have nothing better to talk about. Tengku Adnan does Christians a great disservice by cynically stoking anti-Christian hostility to advance his political objectives. It recklessly endangers the safety and security of Christians at a time when radical militants are already targeting non-Muslims places of worship, as the police warned recently. It also feeds the kind of sentiment that very likely led to the abduction and forced disappearance of three Christian leaders last year. He ought to be ashamed of himself. Posted in Character and Integrity, civil society issues, Democracy, Elections, GE-14 Elections, Human Rights, Kleptocracy, Malay Fascists, Najib Razak, Pakatan Harapan, Politics, Race Relations, Racism, Red Shirt Racists, Religion, The Malays, UMNO.